Darlene Olson Hooley (1939- ) entered local politics in 1976 because the city of West Linn was slow to respond when her son was injured on a public playground. She became the first woman member of the West Linn city council and worked for family safety and protections for working families. From 1980 until 1987 Hooley represented Clackamas County in Oregon State’s Legislature, where she focused on bills dealing with public kindergartens, equity pay and reform of the state’s welfare system. Hooley again broke new ground in 1987 when she became the first woman elected to the Clackamas County board of commissioners. In 1996 she was elected a Democratic member of the U.S. House of Representatives and was a member of the One Hundred Fifth to the One Hundred Tenth Congresses (January 3, 1997-January 3, 2009). During her first term in the U.S. Congress, Hooley was elected House Democratic freshman class president. Additionally, during her tenure, she was a House Senior Whip for the Democratic Party and a member of the New Democrat Coalition. As a member of the House Financial Services Committee she advocated adapting banking laws and acting to disrupt the financial foundations of terrorist networks and focused on issues surrounding identity theft prevention and increasing medical and financial privacy. In 2003, she was a key sponsor of the Fair and Accurate Credit Transaction Act (HR 2622), which gave Americans the right to free credit reports. A staunch advocate of a federal prohibition of online poker, Hooley cosponsored H.R. 4411, the Goodlatte-Leach Internet Gambling Prohibition Act, in 2006. In 2002 Hooley voted against the authorization of the use of military force in Iraq. As a member of the Veterans’ Affairs committee, she focused on issues of veterans’ health care and deployment of National Guard troops to the Iraq War. 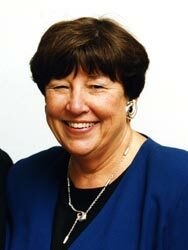 The Darlene Hooley papers contain materials generated by her office during her four terms in the Oregon State Legislature and her six terms representing Oregon’s Fifth District in the United States Congress from January 3, 1997 through January 3, 2009. Materials in the collection focus on her work with the Appropriations Committee with an emphasis on the projects she helped in the greater Portland area.